Made from American black walnut and graphite, this office chair was custom-built for a reception area within a financial firm. The stripes of graphite contrast subtly with the dark walnut, and combine for a very nice look either standing alone or when combined in sets of five or more. 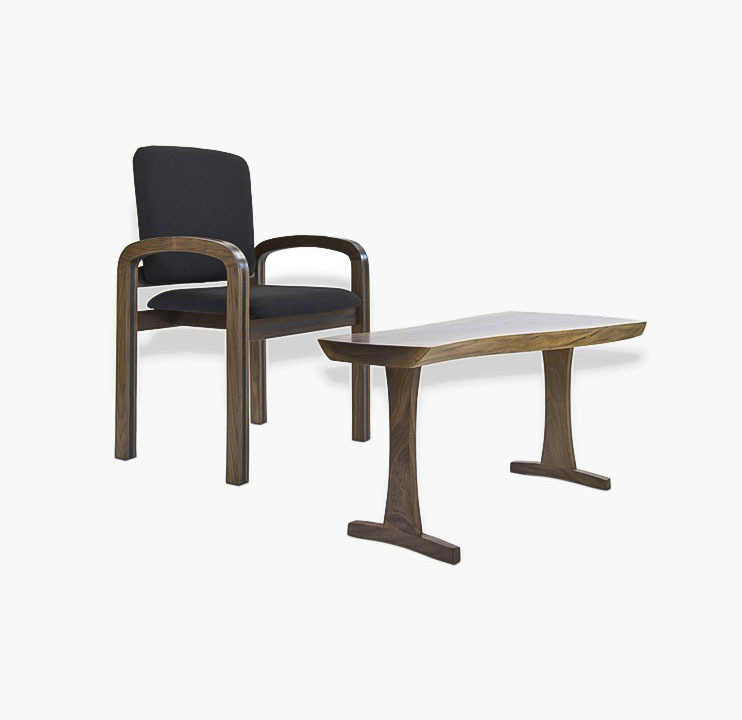 Available as a set with the Pasquale Slab Table.Wood species and dimensions customizable.